Interesting WooCommerce customization here. A client of mine asked me to hide/remove prices from the shop page and category pages as she wanted to drive more customers to the single product pages (i.e. increasing the click-through rate). As usual, a simple PHP snippet does the trick. I never recommend to use CSS to “hide” prices, as they would still be visible in the code – PHP stops the prices from loading, so they’re invisible to the user. As many of you would love to code but don’t feel 100% confident with it, I decided to look for a reliable plugin that achieves the same (or even better) result. 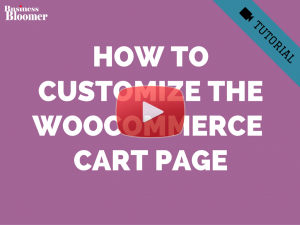 In this case, I recommend the YITH WooCommerce Catalog Mode plugin. On top of hiding the Add to Cart buttons on the pages you like (free version), you can also hide prices, hide the Cart & Checkout pages, target specific products, replace the price with a contact form and much more (premium version). hi, how can i apply this to shop and category pages but EXCLUDE ON SALE products? I mean, i want to hide prices in shop and category pages to replace it with an ACF field but still want to show the default price that appears crossed out with the on sale price on its right side. Can we hide the “Out of stock” label displayed in the archive page of my shop with one of this codes as well? Can we hide the price per category also? Thanks for your response. Thank you for the PHP Snippet 2 is so great. Can you teach me how to Remove Prices Everywhere but only “the Checkout Pages”? We have developed a plugin for this that does some more wonders. Can you please review and give us a feedback on what do you this about this one? BUT it also removed prices on the back end. I cannot see the prices in the admin Products Dashboard anymore. Is there an other line of code to add to enable these in the back end? I just wanted to comment to say that your snippet (Example 1) was exactly what I was looking for. Thank you so much for providing the solution! Hello. Maybe you can help to hide title of products? I need price but I don’t need title. Is it possible to do with similar code? This code does not appear to work for the WP Astra or OceanWP theme, although it does work on twentyseventeen. Can you give me any ideas on what maybe wrong please? The code worked for me at removing the price on the Shop page. Thanks so much! I have a question related to this. I have a client that would like to be able to hide the price on certain products until the shopping cart. This is in order to follow MAP policies sent forth by a couple of his vendors. 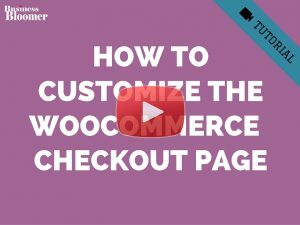 There is no way to handle this in woo-commerce, nor is there any plug-ins or extensions that are active, and updated that handle this. This code you provided works, but site wide. I only need it for select products. MAP seems to be a bit of a nightmare on the programming end. Any ideas? Thank you for this solution! I’m actually trying to “undo” some custom coding that was done to take the price off the shop page. I’ve looked and looked and can’t find any custom coding so that we can once again have the pricing show. Any thoughts would be appreciated! Thanks! Hi Rodolfo – thanks for this snippet of code. I would like to hide prices on all pages except single product page and the cart. Currently with the snippet here the variable (or even non-variable product) price won’t display. Do you have any suggestions/code for that? Great job, works verey well, but i need to remove price in my home, where i have features products listed. Is there a snippet for that somewhere that I can use? currently unable to handle this request. Hi, thank for that snippet ! and not just a simple “display:none” ….. seriously ……. Woooowwww Thank you so much, I just saw this now while searching on google, for a week now I am trying to get this done for my client. Thank you so much Mohtashim! This is a great article and outstanding support Rodolfo. However my problem is we are able to hide the price on the website however in the search engines it is showing it. Is there a way to hide this? Thanks and appreciate your feedback!!! Thank you Joe, your feedback rocks too! Hello. Great article very usefull. I used one or two of your hints to create my website and i have a question regarding an idea i have to display a single price. Hi, can you advise on how i can remove the product name as well. I just want the shop page to show the image with the ability to add to cart. Also, do you know how to “skip” the product page and go right from the shop page to the cart. So if they click the image on the shop page, add it to the cart, then take to the cart page. 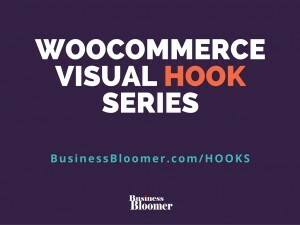 You can remove the product title by taking a look at the default hooks that WooCommerce adds on the loop, and then use remove_action to hide that (hooks: https://businessbloomer.com/woocommerce-visual-hook-guide-archiveshopcat-page/; video tutorial: https://businessbloomer.com/customize-shop-page-woocommerce/). In regard to your second question, that’s pretty “unfair” to the user in relation to User Experience. I’d totally recommend not to implement that, as users are clicking to see an image and definitely not to add a product to cart (unless the image itself has a “+” somewhere or an “add to cart” inside the image). Aclient wants me to take off prices from the products. What do I do? Hello, where i need to put the code, in order to hide the prices?? Hey Ricardo, thanks for your comment! 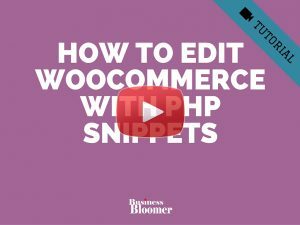 You can place this in your child theme’s functions.php file – if you need more guidance, please take a look at this video tutorial: “How to Customize WooCommerce with PHP Snippets (even if you don’t know PHP)“. Hope this helps! Show Price and Quantity Option on Simple Product Page. Please let me know if you need more clarity on this. Hey Rohit, thanks so much for your feedback and comment! Hello Rodolfo. I made a plugin that do the same. It can remove or rearrange functions from single product page and shop page. I didn’t think neccesary add options to remove functions with conditionals, but after read the comments, I’m going to add it. 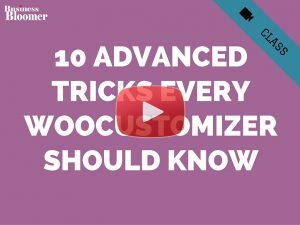 Here you and everyone can download the plugin (it was added to wordpress repository, so obviously it’s free) WooEnhacer – WooCommerce Customizer I hope it will be useful for more than anyone. i put under the function, not working, search for loop, the themes not there, download code sniipet plugin and insert the code, not working, is that anyway to hide the price label (the price tag) using css? 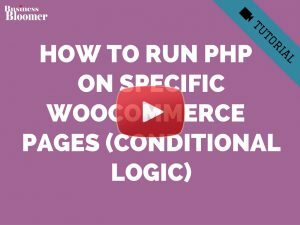 Hello Louise, the template file would be the “content-product.PHP” within the WooCommerce templates folder. However, your theme might override that. Now, when you say “I have another website using the same theme, WooCommerce and plugins but its prices are appearing as normal on the shop page”, this makes me think you should also check if they’re running the same versions. If files are identical it’s almost impossible you’d get the issue, so probably the theme is out of date or WooCommerce is running a different version? The two websites are both running WordPress 4.4.2 and the same version of Satellite 7 with Woocommerce. However both have been further customised differently. The one I am having trouble with we have done a lot of work on so I think thats why it is having more trouble then the other, more basic website. I’ve made sure that there are no snippets for the price inside the functions.php, I’ve also double-checked the CSS. Thanks Louise! Difficult to troubleshoot without having access to the files, but I’m afraid that file looks fine. 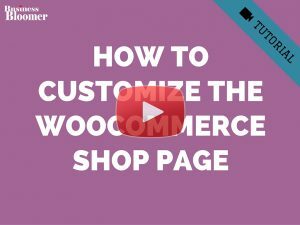 Can you make a file search for “woocommerce_after_shop_loop_item_title” to see if something is removing it or customizing it? We’ll definitely be there Rodolfo 🙂 Thanks again for all your help! Is it possible to remove all prices? The shop is for internal use and prices are not applicable. I do need schipping and I do need a cart, but they don’t buy, they just order and we ship. Hello Dennis, thanks so much for your comment 🙂 Yes, what you’re asking is definitely possible. Snippet 2 should send you in the right direction, plus some more customization would be required to hide prices on the Cart and Checkout page. Also, you could simply put all the product prices to “0.00” and hide the “Free!” notice. What have you tried so far? Prices are on 0 and Free is gone, but like on the side bar I have the cart, which is good for the users to see what they order, but I would be glad when the price is gone. The same in every stage, as I don’t the price at all it’s just eating up space. I understand. Yes this is possible via PHP but would require development time that I cannot provide here in the comments I’m afraid. You lose the price, but not the space. I understand that it will take a lot of customizing, so I will leave it for the moment, get busy with the next challenge and look at some of your videos. Hi Rodolfo, I tried to remove prices with your snippet but unfortunately it does nothing. I’m using a child-theme and adjust the functions.php. Can you tell me what i’m doning wrong? Hi Michel, thanks for your message 🙂 It could be your particular theme is already “acting” on that specific hook and changed it’s priority. Or, that we’re removing the action before it gets added. for the first potential issue, look in your theme’s files if there is any function that already does: remove_action( ‘woocommerce_after_shop_loop_item_title’, ‘woocommerce_template_loop_price’, 10 ). Possibly, they’re removing that and adding it back in a different position and with a different function name. You’ll need to remove this new one in case. Hi thnx for your reply. I found this remove_action.php file and tried to use your code without succes. What can i do next? I am using ducan, seems to be one of the best themes for webshops i read. http://themes.webinane.com/wp/ducan/. I will try that once more. get back to you. I found this in the theme itself. What should i do? Works great! I was trying to figure it out myself with out any luck! Also used code snippets to put into functions so theme update wont mess it up again…lol! I will have to put note to “add to cart to see price”! Many thanks “the leather guy” 🙂 Feedback is much appreciated! Hi i used this code but it dint hide price for me at all . http://www.varmepumpe-rr.no/ I want to remove all the prices on this website. as all i need is just a product pages. could you please direct me in right path? First: The CVO-plugin hides the prices on individual items fine, in the shop page. But in the cart the price of the individual items along with the sub-total of them are still showing. I only want the total price of the composite product package. How to hide the other prices? Second: Can i Disable the option to “add-to-cart”, ONLY on single products and not the composite products? I hope you can help me, because I am really lost. Sorry, this is way too custom and I can’t help. I will publish your comment to see if anyone here can help you 🙂 Good luck! I’ve added to functions.php and price still appears in shop/category pages. Does this work with newer versions of woocommerce? might it be superceded by something else in the theme i use? Hi! How to make the price(not range) for variation product function for the shop page only? I have a stupid question.. where do I put this snippet of code to remove the prices? Sorry.. just didn’t see this. Hello Marie! You have to place the snippet at the bottom of your theme’s function.php file. Otherwise, I recommend installing a plugin called “Code Snippets” where you can even enable/disable the snippet whenever you like. Hope this helps! snippet 2 worked like a charm. the best!! Thanks for your feedback Jake! Great and simplest solution. Please help in removing price from Checkout , cart as well. I am developing a book library and using cart for ordering books only. No payments. I really appreciate your help to the community. Thank you Santosh! 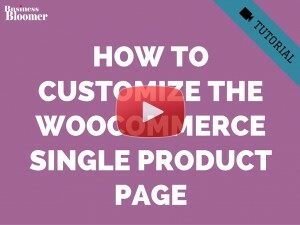 This looks more like you want to use WooCommerce as a catalogue, there is a plugin for that. Hope this helps! Thanks for the suggestion. I worked it out with hiding in css of my child theme. I wanted to hide price and keep Add To Cart option on. This way our readers can order books to read and return. Great to hear that Santosh 🙂 Thanks for your feedback! I am looking for a solution like you described (library books) I already bought the WC Catalogue Visiblity Options plugin, but unfortunately it doesn’t do the trick. I managed to hide the prices on the single product page with custom CSS. Could you please provide me with the exact CSS snippets to hide prices all over WooCommerce (cart, checkout)? is there a way to hide prices on items that have soldout? we have fine art pieces we want to keep on the site even though they sold. really am learning a lot from your posts. Thanks. Thanks for quick reply. I will look into this. I am far from a programmer and was hoping for a nice drop in or easy fix. Always good to have a challenge though. Thanks again for the feedback. I’m looking for the same solution for the same problem. Thanks Rodolfo for the code. Same as lars I too would like to remove prices everywhere and replace the add to cart functionality to add to quote. Thanks for the feedback Himanshu. 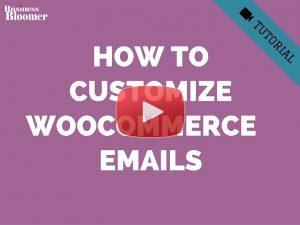 Take a look at this WordPress plugin: WooCommerce Email Inquiry & Cart Options – hope this helps! Thank you for sharing this code snippet. It was very helpful and effective at removing the prices from my category pages. I think it is a bad idea to show the price of an item before you’ve had a chance to explain it’s benefits and features. My theme had a ‘custom_functions.php’ file that I pasted your code into. Worked like a charm! Thanks for your feedback Anna, very much appreciated! Hi, this is great stuff, no plugins needed. Say that I want to hide prices everywhere on a site, including cart, checkout, my account, everywhere. I could use a solution to remove prices from cart, checkout, my account etc. On our site all products are free for those who qualify. Its an award program. So people have to choose their products and checkout, but they are charged nothing, the companies who are giving the awards pay for the products. So I would prefer to be able to remove all prices. David, thanks for your inquiry. What I would do if I were you, I would automatically apply a coupon that gives 100% discount if the logged in user qualifies for the program. You can take a look at this post of mine to get an idea. Hope this helps! Hi, I think this is a great idea! However, I tried the code and it did not work on my wordpress site. The prices are still showing on my product category page.